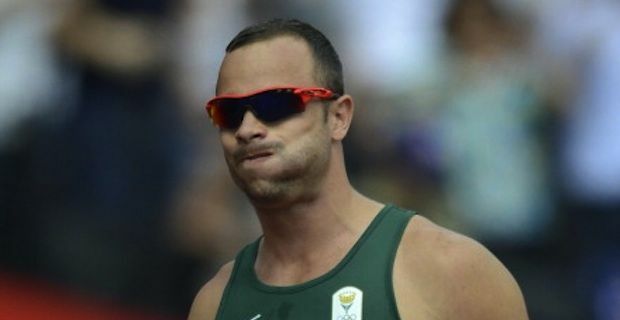 South African police has just announced that banned steroids have been found in Oscar Pistorius home - as well as a bloody baseball bat and evidence of heavy drinking - which seems to corroborate the theory that the Olympic champion may have shot girlfriend Reeva Steenkamp dead in a roid-rage rampage. Surprised? I bet not, after Lance Armstrong's doping confession most sports lovers have taken into account that some of the stars they've been admiring for years might not be as clean as they claim to be. The body of the 30-year-old model was found in the bathroom of the athlete's luxury home in Pretoria on Valentine's Day. Apparently she had run in there for cover after being hit by the first bullet, only to be shot another three times through the door as she crumbled in pain. The police has also revealed that Reeva's skull presented crash injuries and that a blood stained bat was found at crime scene. Tests are now being carried out to establish if the bat was used to attack the model, if she used it in self defence or if it was used by Pistorius to smash his way into the bathroom after the shooting. Reeva's body has now been returned to her native Port Elisabeth. Funerals will be held there on Tuesday and she will be cremated after a private ceremony. In the same day, Pistorius will appear in court for a bail hearing. He will be represented by a prestigious legal team that includes South Africa's notorious lawyer Barry Roux as well as Kenny Oldwage - who has in the past successfully defended the driver accused of killing Nelson Mandela's great-granddaughter in a car accident - and top forensic pathologists Reggie Perumal. Gerrie Nel, a highly qualified lawyer - famous for succesfully prosecuting ex-Interpol president and South Africa's former police chief Jackie Selebi - has been chosen to turn on the heat on the disgraced athlete. He will try to convince the jury that Pistorius rather than shooting his girlfriend when he mistook her for a burglar, had killed her intentionally. Phone records are being checked in order to probe the allegation of the shooting being sparked by a late night message sent to Reeva from rugby hunk Francois Hougaard, a friend of Pistorius.